FINANCE Minister Colm Imbert declared that rumours of a devaluation of the TT dollar are "fake news." Imbert made this declaration as he dismissed reports on CNC3's Business Watch and in the Trinidad Guardian which made this allegation. TT's net foreign reserves currently stand at US$7.3 billion. The balance in the Heritage and Stabilisation Fund is US6.05 billion. In a statement, Imbert said, "This is more than adequate to defend our exchange rate at its current level of $6.8 to US$1." Contrary to the CNC3 and Guardian reports, Imbert declared, "There will be no devaluation of the TT dollar in 2019." He explained the finance minister has the authority to determine policy with respect to the exchange rate. Section 3(2) of the Exchange Control Act says with respect to exchange control, the Central Bank shall conform with any general or specific directions given to it by the minister. Imbert is in Washington, DC, attending the 2019 spring meetings of the International Monetary Fund and the World Bank Group. The meetings began on April 8 and end on April 14. These annual meetings bring together central bankers, finance ministers and other people to discuss a wide range of issues including the world economic outlook and economic development. 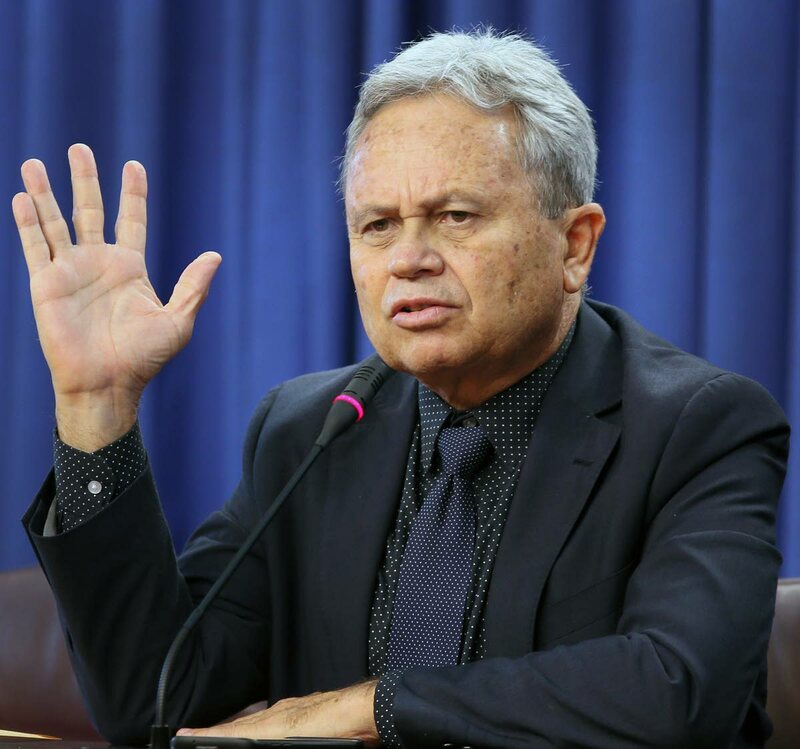 Imbert said these stories are "uninformed, mischievous, inaccurate, unprofessional and totally untrue" and Fitch Ratings "has made no prediction of a devaluation of the TT dollar and has not published a country risk report for TT. He said the Guardian's article was based on an "uninformed and speculative" article published by Fitch Solutions, a research firm which he said has no connection or relationship to the Government. Imbert also said Fitch Solutions made it clear on its website that any comments or data included in its report "are solely derived from so-called independent sources." As a further disclaimer, Fitch Solutions says Fitch Ratings' analysts do not share information with Fitch Solutions. Imbert said the ministry has contacted Fitch Ratings, who are contracted by Government, to provide a credit rating for TT. As well as being deeply embarrassed and saying it has no connection with Fitch Solutions, Imbert said Fitch Ratings has so far been unable to explain why someone at Fitch Solutions who has no access to official data in TT would write such an erroneous and uniformed article. Imbert met with Fitch Ratings in Washington yesterday for a further explanation of the basis of this statement from Fitch Solutions. Checks on the Fitch Ratings website showed there are no country risk reports for TT. Fitch Solutions' report on March 12 said TT's current account surplus will widen this year owing to an expanded traded goods surplus, and growing LNG production will bolster export growth in the coming quarters. The report claimed TT's overall external position will remain under significant pressure, with capital outflows forcing the Central Bank to further draw down reserves. Reply to "Imbert: ‘No devaluation’"